Ronald Reagan Washington National - Logan Intl. Washington Dulles Intl. - Logan Intl. Hartsfield-Jackson Atlanta Intl. - Logan Intl. Detroit Metropolitan Wayne County - Logan Intl. Previous image, 38 total items. Next image, 38 total items. Around every corner in the capital city of Massachusetts, you'll find landmarks and tributes to Boston’s colonial and maritime heritage. With an abundance of culture, art, sports, and cuisine bundled into a compact city, it’s no wonder folks call this place The Hub of the Universe. 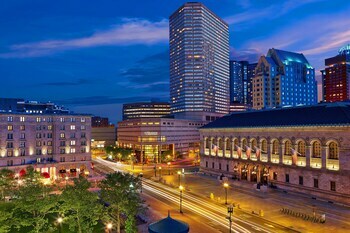 Whether you’re a serious history buff, a luxury jetsetter, or simply a connoisseur of Americana, your best getaway comes wrapped in a vacation package in Boston, MA. 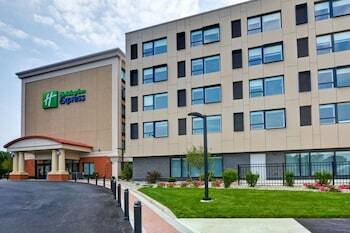 Read on to learn more about best places to stay and play in The Cradle of Liberty. 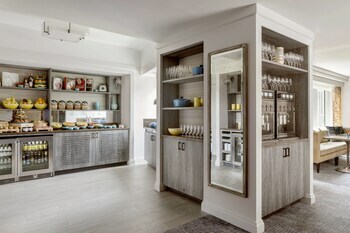 Boston Park Plaza: Nestled in historic Back Bay, just south of Boston Common, Boston Park Plaza is a chic contemporary hideaway in vintage brick clothing. 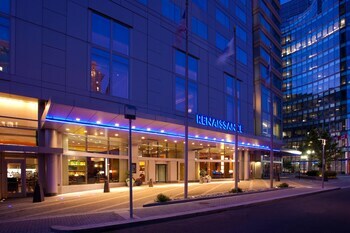 Walk to the George Washington Statue, John Hancock Tower, and several performing arts venues and return to a luxurious suite or dine at one of the two hotel restaurants. 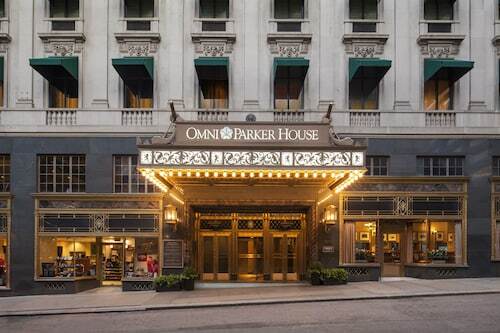 Boston Omni Parker House Hotel: If you’ve always dreamed of staying right along the Freedom Trail, the time has come. From this Omni hotel, history will be on your front stoop, so rest up in your sumptuous guest room—the décor is rich and stately to say the least—and enjoy an in-suite breakfast before stepping back in time. 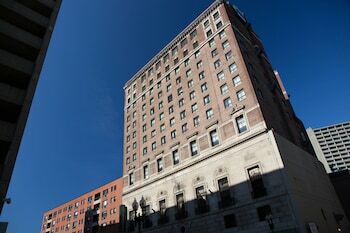 Copley Square Hotel: Built in 1891, the Copley Square Hotel is a landmark in its own right. Look around and see Boston Public Library, Copley Square, and the Old South Church, and it will become very clear: This hotel stands among an embarrassment of historic riches. 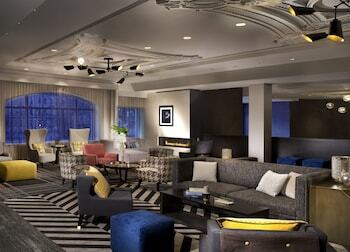 After a long day of sightseeing, don’t go to bed too early—the hotel’s nightclub awaits. 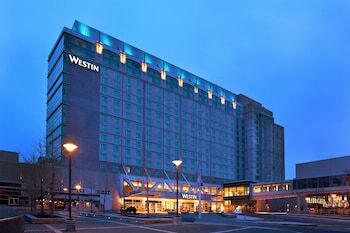 The Westin Copley Place, Boston: Also in the historically rich Back Bay neighborhood, this Westin hotel is literally just a few steps from Boston Public Library and Trinity Church. For a quiet getaway, stroll to nearby boutiques or spend an afternoon in the stacks of this incredibly literary city. Back in your suite, if you can’t choose between the four in-house restaurants, order in 24-hour room service or spend a night on the town. If a little sightseeing is what you're looking for on your Boston vacations, you'll find plenty of sights to see in old Beantown, where you can get a taste of sweet liberty with an official or self-guided tour of the landmarks that line Freedom Trail. Begin your walk at the Bunker Hill Monument and wind your way through cobblestone streets and across the Charles River past Old North Church, Paul Revere’s House, Faneuil Hall, and stand on the sites of momentous moments in American history. End your stroll at Boston Common for a peaceful walk in the park or a joyous outdoor concert. This is what vacations in Boston are all about. Drawn to the sea? Go island hopping around the Boston Harbor Islands for stunning views of the city skyline and the open water. And if you want to dive deeper, spend an afternoon at New England Aquarium learning about what lurks beneath the surface of the Atlantic and end the day with a sunset sail around the historic harbor on a traditional tall ship. Like the colonists before you, you may get the urge to dump tea into the cool Atlantic waters. Instead, we recommend sipping the delicate brew nearby at The Langham Boston, housed in the former Federal Reserve Bank. Boston gets into the holiday spirit throughout the year with major citywide celebrations. St. Patrick's Day lines the streets in South Boston for the Boston St. Patrick's Day parade. If you visit during the Independence Day weekend, celebrate with special events and concerts as part of Boston Harborfest, including the Boston Pops Fireworks Spectacular. You'll be able to see Boston's creative side during the city's twice-a-year ArtWeek Boston, an interactive arts festival with over 125 performances and visual art events. 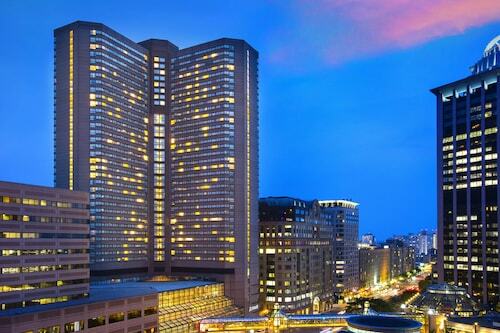 During these celebrations, hotels can fill up fast, so make reservations now to book a cheap vacation in Boston. 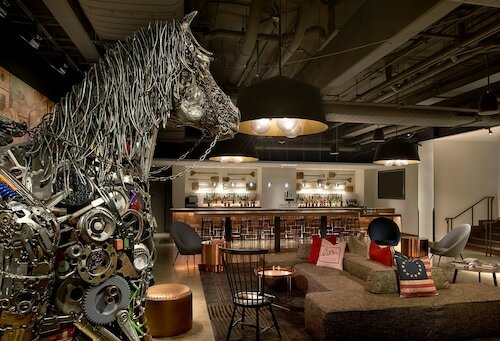 Traveling to the City of Notions always brings out the best ideas, and we have a great one. For the best deals on vacation packages in Boston, search over 400 airlines and more than 510,000 hotels worldwide on Travelocity. 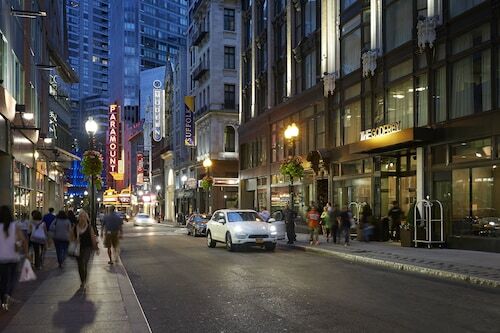 Need insider tips on must-see attractions in Boston? 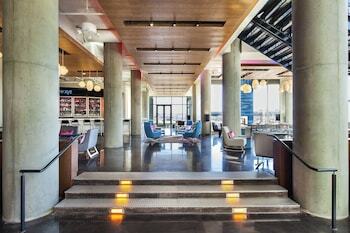 Check out our Boston travel guide! Come visit Chelsea, one of the oldest suburbs of Boston in the state of Massachusetts. 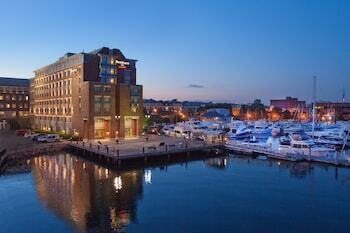 Sitting across the Mystic River from Boston, Chelsea is 2.5 square miles steeped in historical significance. The Massachusetts tribe of Indians originally called the area Winnisimmet, which means "good spring nearby." 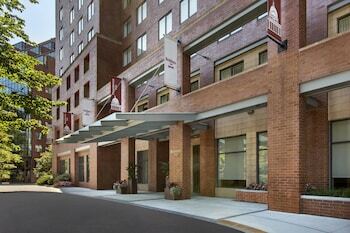 Chelsea vacation packages are ideal for Revolutionary War history lovers and those touring universities. 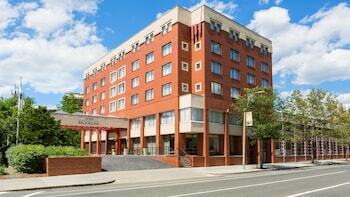 Car rentals in Chelsea are a good idea so that you can tool around town or visit nearby Salem, Cambridge, and Boston. Concord, Massachusetts is probably best described through its past residents: Do Paul Revere, Luisa May Alcott, and Henry David Thoreau ring any bells? Concord's influence on American history and culture might lead you to think it's a grand metropolis, but Concord's picturesque, small-town vibe transports you back in time to defining moments in America's history. From Paul Revere's Midnight Ride to the creation of the Concord grape, you'll find endless fascination in the streets of Concord. 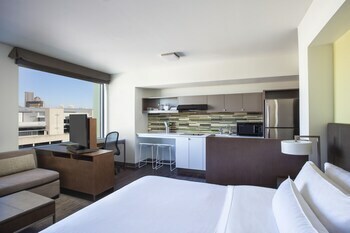 Book Concord vacation packages today and experience it firsthand. Peabody, Massachusetts, is a next-door neighbor of the famous town of Salem. Whether you're heading in that direction for some spooky late-night ghost tours or you want to learn more about lifestyles in colonial America, check out Travelocity's Peabody packages for savings and convenience. 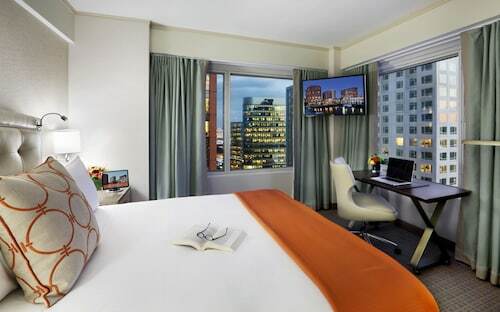 Located in Downtown Boston, this boutique hotel is steps from Boston Opera House, The Freedom Trail, and Downtown Crossing. Boston Common and Orpheum Theater are also within 5 minutes. Downtown Crossing Station and Park St. Station are within a 5-minute walk. 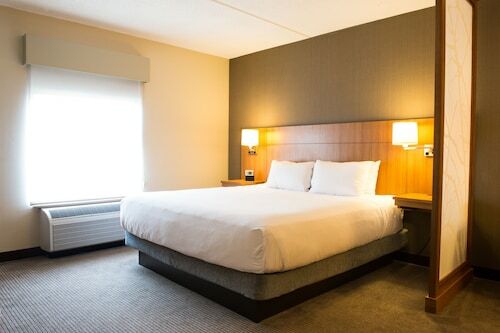 This Boston theater-district hotel has direct access to the subways and is connected to Macy's at Downtown Crossing, within 2 blocks of Faneuil Hall/Quincy Market and the financial district. 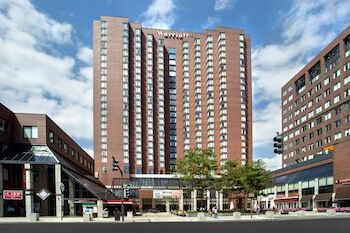 This 38-story Boston hotel is adjacent to 2 malls and a convention center, forming 3 climate-controlled blocks of shops and restaurants; within a half-mile of major businesses. 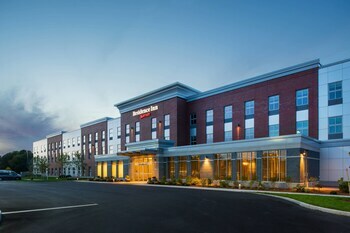 Hyatt Place Boston/Braintree is located right across the street from premier shopping at South Shore Plaza. 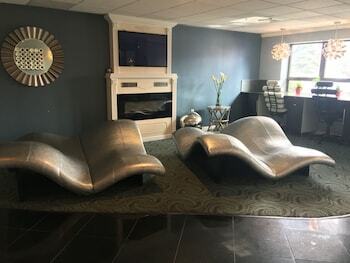 Guests can take a free shuttle to select destinations within a 3-mile (4.8-km) radius, and downtown attractions like the New England Aquarium and Museum of Science are a 30-minute drive.